Gum leaf samples showing traces of manganese. Well, maybe it would be more correct to say that trees grow in gold. Forget your metal detector, the leaves have it! That’s the concept behind a mineral discovery technique we pioneered which is now being used successfully by gold exploration and mining companies. 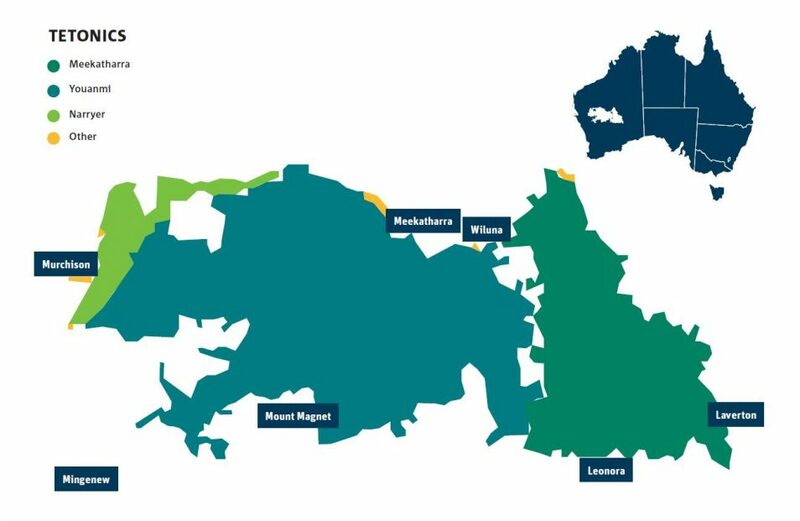 Marmota Limited, a gold mining company working out of South Australia, recently reported they had identified new gold targets using biogeochemical sampling at their Aurora Tank prospect. Put simply, biogeochemical sampling involves taking samples of vegetation, such as leaves from trees and shrubs, and testing the material for the presence of gold or other chemicals that often associate with gold, so-called pathfinder elements. Using this form of sampling, Marmota Limited have found traces of gold in tree leaves, and used this information to guide their drill program, showing that gold can in fact grow on trees! Our original work in Kalgoorlie in Western Australia demonstrated how gum trees, growing above known areas of gold mineralization, had detectable gold particles in their leaves and branches. The trees deep root systems act like hydraulic pumps to bring tiny traces of metals from orebodies deep underground. 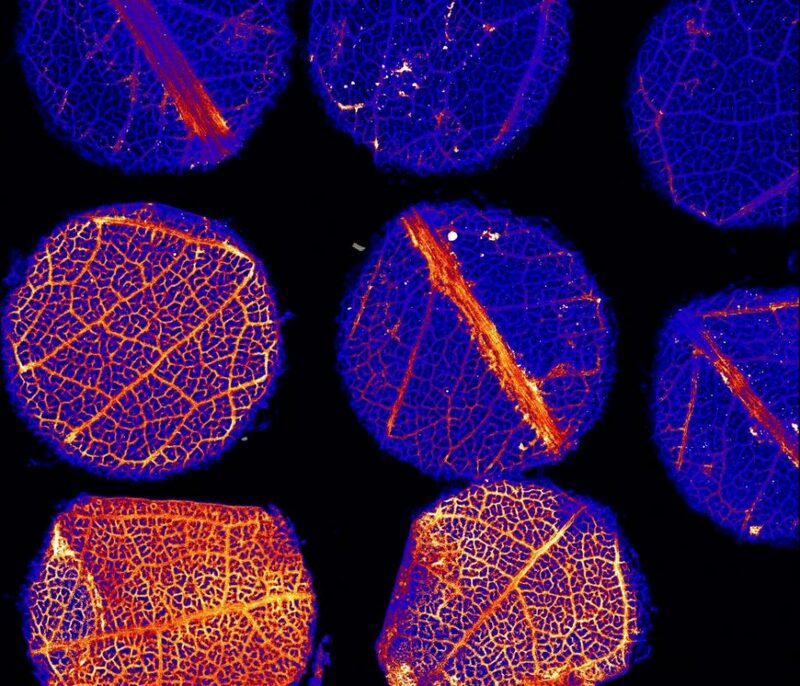 The metals particles taken up by the roots travel into the plant tissues of the shoots and leaves. Even leaves that are shed still hold trace amounts of the metal. Collecting and analysing the leaf material can reveal which areas of land contain deeper regions of gold mineralisation. The video below shows how this process works. From our initial trials in Kalgoorlie, our researchers completed Australia’s biggest biogeochemical survey, creating a modern-day treasure map, sampling hundreds of eucalypts and mulga trees in the Northern Yilgarn Craton in Western Australia. The Yilgarn Craton makes up most of the Western Australian land mass and is one of the oldest ancient landscapes preserved on earth. The Eastern Yilgarn is renowned for gold and nickel deposits yet the Northern area remains largely unexplored for new mineral discoveries. Map of the Northern Yilgarn region of Western Australia, detailing the tenements where biogeochemical sampling occurred. We mapped 130,000 square kilometres of Australian bushland in the Northern Yilgarn – an area the size of Greece – looking for information about possible deposits of gold and a range of other economically valuable mineral commodities. We found positive results for specific metals and pathfinder elements which can now be used to pinpoint areas to explore. Along with recently reported successes by industry, we further validated our method using convergent data from our groundwater surveys. The biogeochemical survey in the Northern Yilgarn overlapped an area we had previously surveyed using groundwater sampling and showed matching results! We found that areas where gold was detected in groundwater samples coincided with areas where we detected gold in the vegetation samples. Greenfield exploration (i.e. in areas with minimal or no previous exploration) is expensive and risky. Our geochemical sampling technique is helping mineral exploration companies hone in on new targets for the next big discoveries. Our survey work in the Yilgarn Craton has produced the largest reference dataset of the region for industry to use in further mineral exploration of the region. You can download a free copy of the report NW Biogeochemistry and Beyond Project from the Government of Western Australia’s Department of Mines, Industry Relations and Safety e-bookshop. As well termite mounds are used in valuable mineral exploration (see the link below). Those have been in northern part of Australia surely have seen termite mounds. The ethical problem with biogeochemical mining the need to burn a big patch of forest of that particular tree to make an ounce (or less) gold. Very interesting but I wish the presenter on the video clip would learn to pronounce SYNCHROTRON rather than “Syncherton”. SYNCHRO as in synchronise etc Very annoying! Muntean, J. & Taufen, P. (2011) Geochemical exploration for gold through transported alluvial cover in Nevada: examples from the Cortez Mine. Economic Geol. 106, 809-833. I remember similar research being published many years ago, with the analysis of pine leaves. The levels of gold found indicated that if the trash from timber getting was burned, the ash would contain extractable quantities of gold. Interesting. Is the quantity of the gold in the leaves sufficient to make it visible to synthetic aperture radar from plane or satellite?